Please join Indy Rainbow Chamber for lunch at 11:30 am on August 15th. Reservations are required and the last day to register is August 7th. Attendees will order from the Blind Owl Brewery's menu and pay their check individually during the event. Please preview Blind Owl's menu in advance for fastest service the day of the event. Keystone speaker Julie Walsh will speak about GenderNexus, the organization she founded which empowers those who are gender diverse to lead authentically healthy and holistic lives by connecting them with supportive services to meet their physical, emotional, social, spiritual, occupational, intellectual, and environmental needs. 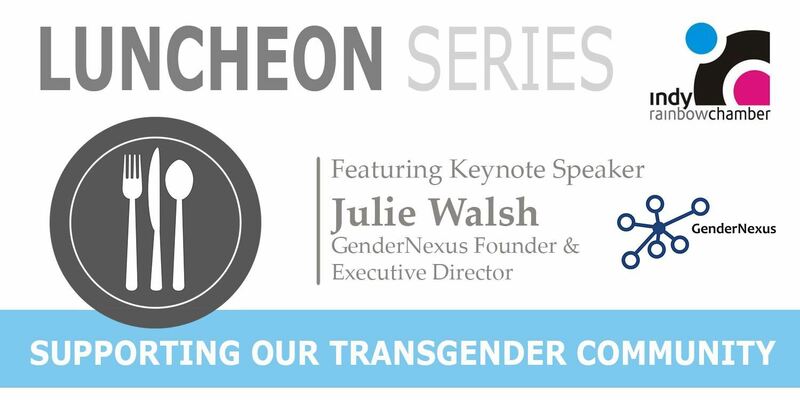 Julie Walsh (she/her/hers)is the Founder and Executive Director of GenderNexus, the only nonprofit organization in Indiana designed to provide services to trans/nonbinary folks and families across the state at no cost. She grew up in an LGBT+ household during the AIDS crisis and has lived and worked within the LGBT+ community ever since. In her work as an international consultant and trainer, Julie has been committed to advancing social justice by dismantling cis-, het-, and mono-normative narratives. She holds a BME from Butler University and an MSW from Indiana University. In her spare time, Julie samples clever titles for her doctoral dissertation.